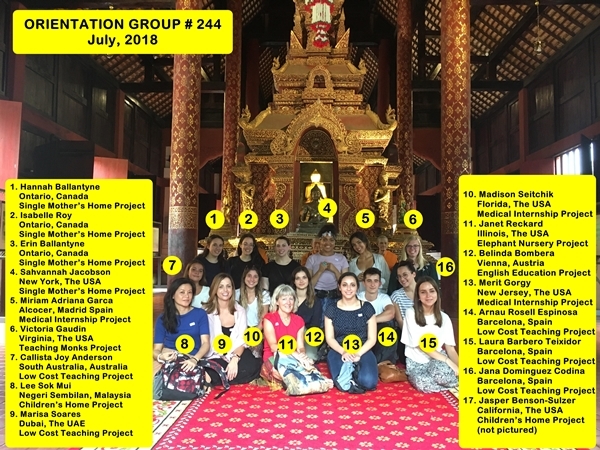 Presenting Chiang Mai Volunteer and Intern Group #244! This group of 17 new volunteers and interns arrived last week, completed orientation over the weekend and started in their projects yesterday. The group has people from Canada, the USA, Australia, Malaysia, The UAE, Austria, and Spain. They are participating in many of our different projects. Please visit our projects page to view a list of our different volunteer and intern opportunities.